Here’s wishing you nothing but success in the new year! Do you remember the song from TLC – ‘What About Your Friends?’ I’ve been thinking about that song a lot recently because I’ve had the opportunity to spend some great time with my best friends. From a couple days in Trinidad with two girlfriends to a few more days with one of my oldest friends (who surprised me for my birthday), I’ve been blessed to enjoy some incredible people in my life. Why am I thinking about friends so much right now? Well, I’m working on LegionFated, book 4 of the LegionBorn series, and I’ve gotten to a point where my main character and his one remaining best friend, Antonio, have a heart-to-heart. While I can’t spoil the story, I’ve learned a lot from the relationship between these two fictional characters. Friendship is such an important structure in human relationships. Who your friends are says so much about who you are and what you are capable of. I’m enjoying seeing how the relationship between Vaughn (the guy on the cover of the LegionBorn series) and Antonio develops. I hope you’ll dial into the series to learn more about these characters. You’ll probably learn something new about you in the process. As I mentioned, my friend surprised me for my birthday. I was writing just as someone walked in and all I could do was scream in delight to see her. There’s nothing like seeing one of your oldest friends and getting to spend quality time with her. And as I’m in birthday mode, the visit was all the more sweeter. Nothing like becoming a year older with someone who’s known you forever, lol! This birthday, I feel (and felt) a great gratitude for the opportunity to gain wisdom and become a better person. I’m happy for the steps I’m going to take to expand and improve myself as an author and my business. I’m excited that I’m going to gain more readers and book-friends as the months go by and I’m looking forward to this time next year when I’ll see the gains of planning, prayer and faith. Whether or not you’ve got a birthday coming up, I hope you’ll be excited for what’s to come in your life and that of those you care about. Be optimistic and smile. Great things are on the way for you and me. PS: Happy midterm election day! …Even if it costs his freedom. Even if it means the end of the world. The demigod Creation was made for one purpose: to prevent the end of the world as Destruction’s partner. It’s his singular drive, until he meets the woman who so deftly commands his affections. The demigoddess Destruction isn’t ready to be pinned down by anyone. Until recently, she’s been one half of the ancient Goddess Oblivion. Now, she has her own autonomy, her own will, and no one is going to take that from her. Not the pantheon, not Creation, and not her psychotic other half—Chaos. But Chaos won’t rest until Destruction is in her demented clutches and they can reign as Oblivion once more. With the fates of gods and mortals hanging in the balance, Creation must choose where his loyalties lie. Is he merely a programmed puppet of the pantheon? Or does he possess his own free will? What is more important, the woman he loves, or ensuring the world’s safety? Get it at Amazon for FREE! Searching for a collection of great urban fantasy tales by incredible authors? 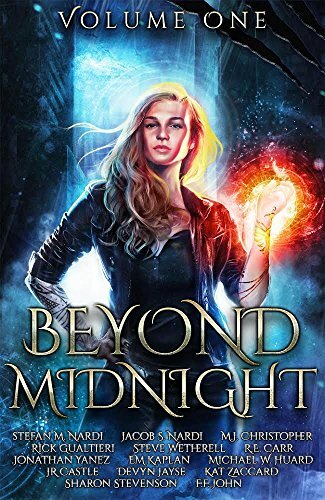 Look no further than Beyond Midnight Volume 1 which comes out on July 11th, 2018. It’s a little project I got to work on with some exciting authors such as Devyn Jayse, Sharon Stevenson, Rick Gualtieri and several others. This anthology from 13 authors has the best of urban fantasy – paranormal beings, supernatural situations and everything in between! Oh, and there’s a chance to win a gift card from Amazon! Get in on the excitement now! PS: If you’ve been reading my LegionBorn Series then let me clue you in on a little secret. My book in Beyond Midnight – Dawn of Night – answers a huge question that arises on the very last page of LegionMarked. It will be further explored in LegionSworn. You don’t want to miss out on the reveal! It’s time to dive into the LegionBorn series! 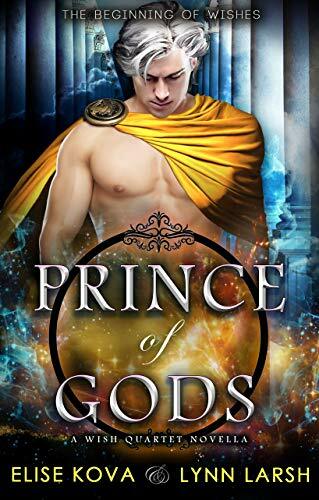 Book 1 is on sale from June 1st to the 3rd. Also, don’t forget to preorder the sequel LegionMarked! To all the mommies out there…Hurray!